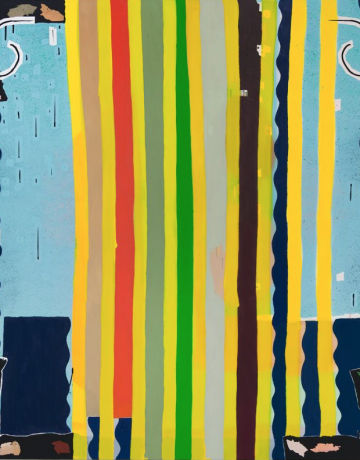 through a generous gift from the Frederick Hammersley Foundation, the Department of Art launched the program that invites prominent contemporary painters from around the world to come live and work in Albuquerque. The mission of the visiting artist program is to honor the legacy of Frederick Hammersley and expand awareness of his life and work through the establishment of links to some of the most visible painters working today. The visiting artists are provided a beautiful studio to work in close proximity to Department of Art graduate students. In addition to conducting studio visits with MFA candidates, the visiting artists have several points of contact with UNM students and the local community, including a public lecture, workshops, and an open studio event. Frederick Hammersley (1919-2009) spent most of his formative years, time as a student, and early career in California, where he garnered a reputation as an important abstract painter in the west coast scene (a prominent figure in the genre of mid-century hard-edged abstraction). In 1968 Hammersley moved to New Mexico and accepted a teaching appointment at the University of New Mexico. Hammersley resigned from teaching in 1971 but continued to live and work in Albuquerque for the remainder of his life. He was awarded a prestigious Guggenheim Fellowship in 1973 and received NEA grants in 1975 and 1977. 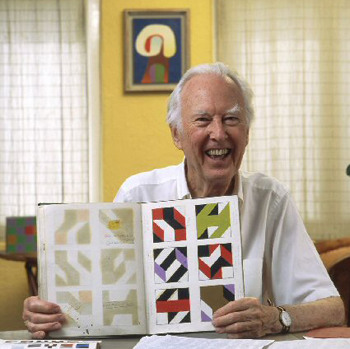 More can be learned about Frederick Hammersley by visiting the Foundation’s website (www.hammersleyfoundation.org). Xylor Jane (born 1963) is an American artist whose paintings “integrate mathematics, color, and time.” Jane’s color is rarely brushed, and rather is applied “in single, unmodulated dots, sometimes as tiny as a millimeter in diameter.” Jane has worked extensively with prime numbers and the Fibonacci sequence. Jane’s painting was featured in the Bay Area Now show at the Yerba Buena Center for the Arts in 2005. Other Bay Area institutions where she has had solo or two-person shows include the Jack Hanley Gallery, Gallery 16, the LAB, and the Luggage Store Gallery. Jane had a 2010 solo show at Almine Rech in Paris, France and a 2005 solo show at Four Gallery in Dublin, Ireland. 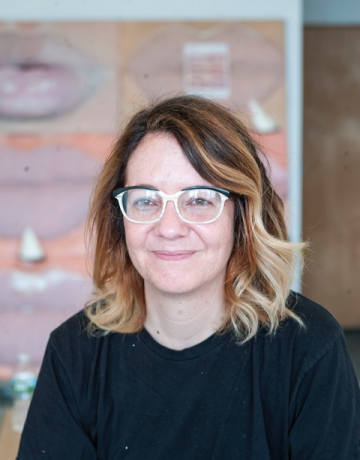 Xylor Jane is based in Greenfield, Massachusetts and is represented by CANADA Gallery in New York City where she has had six solo exhibitions (2005, 2006, 2009, 2012, 2015, 2016). Jane received a BFA in Painting from the San Francisco Art Institute in 1993. Gina has exhibited solo projects at Carl Kostyal (London), GNYP (Berlin), Frieze (New York 2016), Michael Benevento (Los Angeles), Clifton Benevento (New York), Retrospective (Hudson, NY), Fourteen30 (Portland, Or), James Fuentes (New York), Nudashank (Baltimore, MD), and Material Art Fair (Mexico City). She has participated in numerous group shows, among them, MoMA PS1 (Long Island City, NY), Lumber Room (Portland, Or), Kentucky Museum of Contemporary Art (Louisville, KY), Nassau County Museum of Art (Long Island, NY), Flag Art Foundation (New York), William Benton Museum of Art (Storrs, Ct), Abrons Art Center (New York), Gavin Brown’s Enterprise, New York), Cheim and Read (New York), JTT (New York), Canada Gallery (New York), Valentin (Paris), Galerie Opdahl (Norway), and Night Gallery (Los Angeles). Her work has been reviewed in the New York Times, Artforum, Frieze, the New Yorker and Modern Painters, among others. Allison Miller (b. Evanston, IL) lives and works in Los Angeles. She is represented by The Pit, Los Angeles and Susan Inglett Gallery, New York. Group exhibitions include Kunstmuseum, Mülheim an der Ruhr, Germany, Made in LA 2012, Bregenzer Kunstverein, Austria, the Orange County Museum of Art, The Pizzuti Collection, GAVLAK LA, and Ameringer/ McEnery/Yohe, among others. 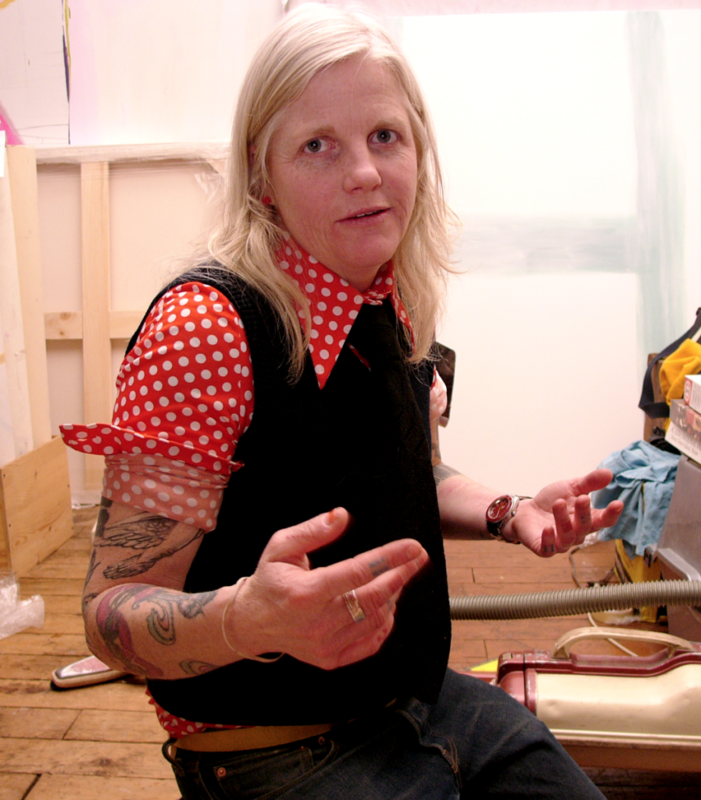 Her work has been reviewed in Artforum, frieze, Modern Painters, Hyperallergic, and The Los Angeles Times, among others. She was recently the recipient of the 2017 Frederick Hammersley Foundation Fellowship and was the 2014 Richard Diebenkorn Foundation Fellow. Her work is in the collections of The Orange County Museum of Art, The Santa Barbara Museum of Art, the Pizzuti Collection, the West Collection, UBS, JP Morgan Chase and Vassar College.